In the 4400 class, eight cars took the green flag; after the first six laps, only half the field was still running and at a very fast pace. Bill Baird in the safety orange 5252 was the fastest qualifier, fastest lap and leader for all of 23 laps on this 3.5 mile course. He was smokin’ fast and consistent through the entire race for the win; Brian Shirley held the 2nd place position, keeping pace with Bill through the entire race. The third and fourth place cars of Jeff McCullough and Kevin Crews battled through all of their 15 laps. Kevin had to pit every lap to add water to keep his radiator cooled, and luckily Jeff was running quite a ways behind him on every lap. The drama increased when the white flag waved and Kevin took a hard roll taking over 30 minutes to complete his last lap! Jeff appeared to be able to beat him to the finish line, but ran in to some trouble of his own, as the checkered flag was dropped, Jeff eased over the finish line just ten seconds ahead of Kevin on the same lap. With corrected time, Jeff would secure the 3rd place finish. Tony Arledge would complete 6 laps for fifth, Jason Carner completed 5 laps for sixth, Adam Carter took seventh and Bobby Potts would take eighth. The Trail Class race in Birmingham came with a lot of heart. Most of these drivers are good friends and had good times around the campfire on Friday night. 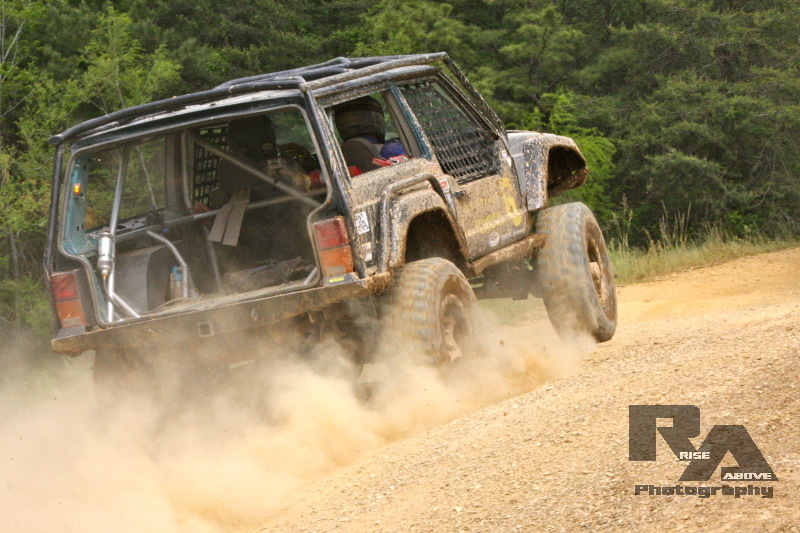 In the Stock Trail Class, Travis Wilson and Scott Lang battled it out lap after lap in the two-hour race. At lap 9, Scott finally overtook Travis as first on course, although he had been first on corrected time for several laps leading up to lap 9. Lap 10, Scott still held the lead; at lap 11, Travis came in first and then we waited….the next time we saw Scott, he was walking up to the start/finish line, he had broken the spring eye bolt and was done. This was a farewell race for Scott Lang as he hangs up the stock Cherokee to spend more time with his family. Not that we won’t see the Cherokee again, rumor has it Robby Bobby has already picked it up. Scott Prince took third, Brian Gray took fourth, Roger King took fifth and unfortunately Lew Childres took a DNF at this race. 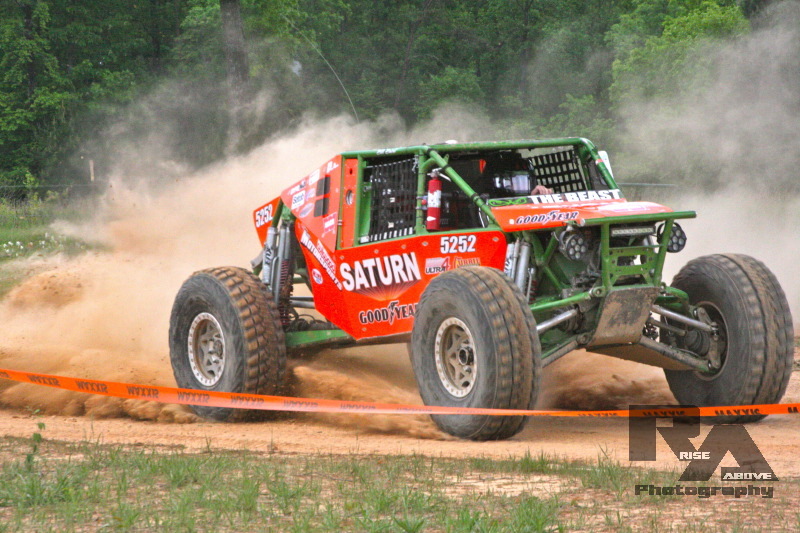 This was the second Southeast Regional Dirt Riot race of three. 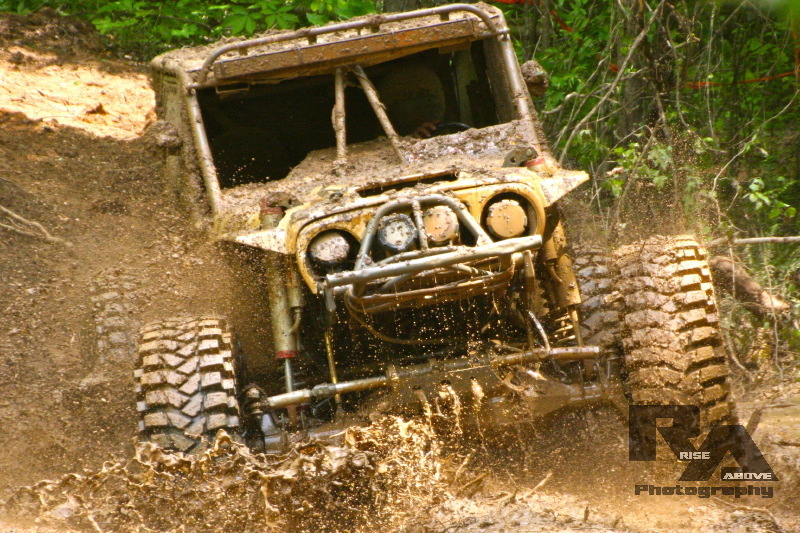 The third and final race of that series will be August 24th at Durhamtown Plantation in Union Point, GA. The next Dirt Riot race will be this weekend in Cedar City at the Three Peaks Recreation Area. The series points are posted athttp://www.werocklive.com/2013/dirt-riot-season-points-standings-2.